Ive been lamenting for awhile whether I should report or even mention this since the x-men has been the most contrived and token place for black characters in the marvel universe in recent years. Despite strong characters like Storm, Cecelia Reyes and Gentle all have gone decidedly under the radar and when used……just plain terribly. Even new Black character Idie Okonkwo…a girl from Africa is every old cliche of Stupid back water Africa you could imagine! Considering she didn’t know who storm was when she saw her its pretty clear she never saw a television, she has also never eaten Ice cream and is just a wide eyed stupid black chick in every sense of the word! The only black character with any form of development has been Frenzy who thankfully has been in the hands of Mike Carey after a brief hookup with team leader Cycolops. Nevertheless the new making the rounds has Wolverine and Cyclops clashing over ideals and splitting the mutant nation on Utopia in two. The result has the x-men split in two one set following Cyclops and another Wolverine….don’t even get me started on how useless, spineless and underused Storm is! People complained about how Hudlin used her in Black Panther? HA! Clearly they have not been reading X-men! 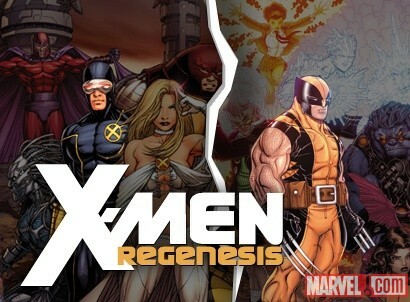 Anyway with the team split below find the two teams in their entirety and where you can go to find your Black superhero fix in the x-men world, hopefully they will be relevant in the new status quo!